I have to admit that I am a data geek. I do know that I have a unique personality type and most people aren’t interested in digging deep into the numbers and want to jump off a bridge anytime that you mention a pivot table. The great thing is that you don’t need to be a nerd in order to increase your team and company performance with KPI dashboards. In fact, you’ll get better performance if you adjust your thinking to answering the question: What is driving the numbers? Instead of putting all of your energy on what the numbers are, start to focus on the story behind the numbers. This is where you will get true insight and help transform your weekly meetings into the most productive time of your week. In my years of consulting experience, I have noticed that most people are thinking about the numbers related to their goals, or only financial numbers when they should be focusing on the stories behind the numbers. In fact, there are at least four common pitfalls of KPI dashboards that I see people making all the time. Your company isn't run by numbers, it is run by human beings that need to know WHY you are measuring what you are measuring. 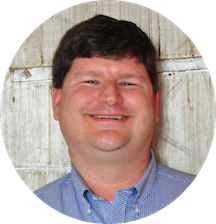 Numbers aren’t inspiring to the vast majority of team members, only to the self-proclaimed geeks, like me. We want to inspire our teams to greatness and need to help them understand why the numbers are what they are. This subtle change in focus will help your team better understand their purpose and align the team to increase productivity and drive the right adjustments at your weekly team meeting. In order to ensure that you are measuring what matters, you must answer the following three questions about every one of your KPIs. If you can't answer all three of the questions for a KPI, it needs to be removed from your dashboard immediately or worked on until you can clearly answer all three questions. This is the first place to start when you do your KPI audit at your annual planning session, or when you set clear success criteria for your goals at your quarterly planning session. It seems like a very simple question, but most people aren’t able to answer it succinctly. In other organizations, only certain members of your team know why you are measuring it, but haven’t clued anyone else in. If you ask ten members of your team, you’ll likely get at LEAST 10 different answers and probably more. Typically when you get to the bottom of it, they are just the numbers you’ve always measured and have been carried over quarter after quarter. You've added a couple here and there, and never took any KPIs off of your dashboard. Before you know it, you are measuring more than you have the ability to impact. Are you trying to increase customer satisfaction to influence renewal rates? Do you need to increase revenue in a specific product line to help grow new revenue sources for your company? Do you need to increase productivity to meet demand without being able to find additional workers in the current environment? If you take the time to really succinctly describe the business problem you are trying to solve, then you can begin defining the weekly meeting KPI dashboard that you’ll need in order to grow your business. 2. Does it tell you a story about the health of your business and drive the right discussions? Each and every KPI needs to help you tell the story about the business problem that you are trying to solve. In addition, it needs to drive the right discussions in your weekly staff meetings so that you can make minor adjustments earlier to get back on track. If you and your team can’t describe the story behind the numbers, they are just vanity metrics. What is a vanity metric? Vanity metrics are metrics that make you look good to others but do not help you understand your own performance in a way that informs future strategies. Or as Tim Ferris puts it: "good for feeling awesome, bad for action." They are the things that you are measuring but they aren’t influencing any business outcomes. 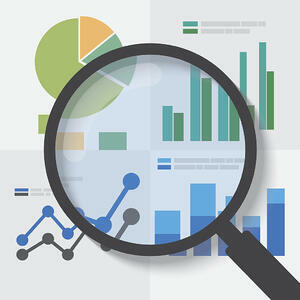 Don’t litter your KPI dashboards and your team meetings with vanity metrics. Make sure your KPIs tell a story and everyone on your team knows that story. Teams that know their purpose are more productive. The reason vanity metrics are so decried is that they’re overly simplistic to measure, they skip nuance and context, they are often misleading, and they don’t really help you improve in any meaningful way. It can be a great ego boost if millions of people follow your brand’s new Twitter account and seem interested in your product, but Follows don’t mean much if those Follows don’t translate into product sales or demo requests. Measure what matters to your business. 3. How do you know if it is working? Do you have clearly defined red, yellow, green success criteria with your SMART goals? Is everybody measuring it in the same way and at the same time across all of your different locations? Does an improvement in that KPI influence the things that you want it to influence? For example, if you are interested in measuring your customer service, you might have a KPI of "time to resolution." The assumption would be that if you can solve the problem faster with fewer transfers and decrease the amount of time to resolve the problem, then overall customer satisfaction (as measured by your NPS, or net promoter score) would increase. In other words, is it a leading indicator KPI for the desired results? Does it drive the right discussions? Does it drive the right actions? Does it drive change in your organization? 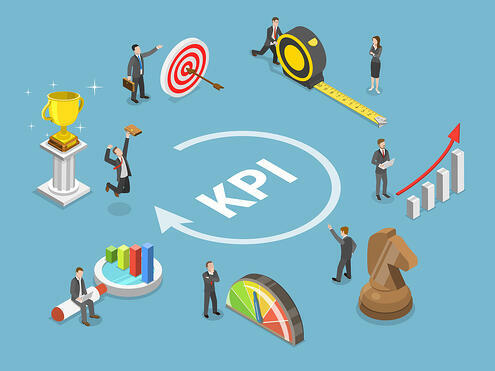 If you can’t answer these three questions for each and every KPI, you need to remove them from your KPI dashboard and have a laser focus on the biggest challenges that face your team with actionable KPIs. This is the minimum requirement for a Key Performance Indicator. It might be a metric, something that you measure and keep an eye on, but KPIs are the metrics that matter and should take the majority of your energy and focus. If you aren’t able to answer these three basic questions for each of your KPIs, it is time to follow our KPI Audit Infographic and clean up your dashboards and focus on the items you can change. I recommend that you do a full audit at every annual planning meeting and start your KPI list from scratch. I also recommend that during your quarterly planning session, you adjust all of your red, yellow and green criteria as needed to make sure that you win your 13 week race.